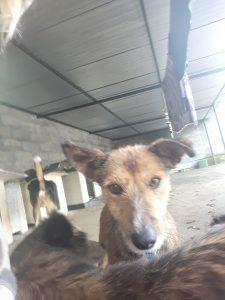 Bramble is a 4 year old female Cross-Breed. Bramble is a sweet and friendly little girl, she has a tan rough coat and she stands at approx 43cm and weighs only 10 kg. She has the most beautiful sad and kind eyes. She gets on with all the other dogs she is with and keeps herself to herself. She likes to sit on your lap and be fussed.Sweet and nice natured looking for a home where she can get cuddles all day! Microchipped, Pet Passport. FREE 4 weeks Pet Insurance to be activated from the link on our website. Any known health issues NONE KNOWNFor Dogs coming from Portugal. 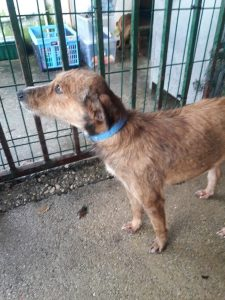 This adoption fee is a contribution towards the costs of rescuing the dog- microchip, passport, vaccines, tests for S European diseases, neutering (if old enough), parasite treatment and transport to the UK.